This is a two-paged worksheet meant to help students learn vocabulary regarding the room and furniture in the home. 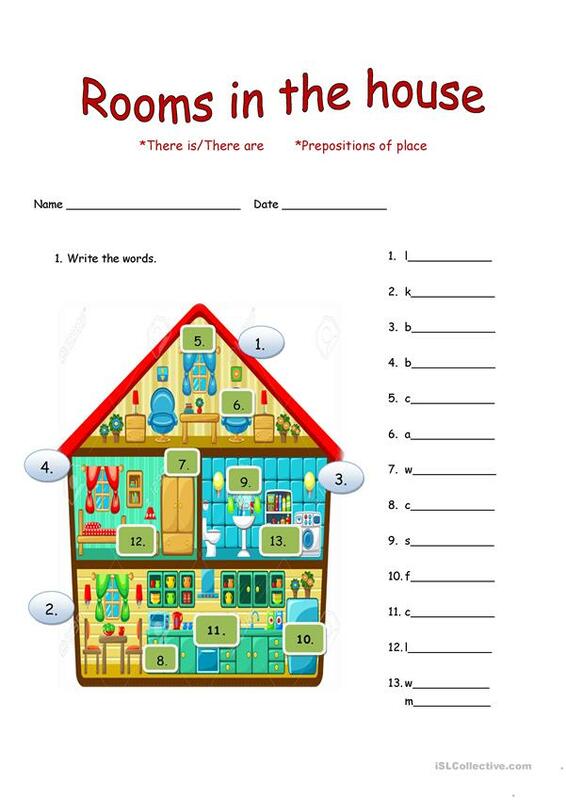 Also, exercises with THERE IS/ARE and prepositions of place are included. Hope you enjoy! The present downloadable teaching material was created for elementary school students at Beginner (pre-A1) level. It is a useful material for practising There is / there are / there was / there were / there will be, etc. 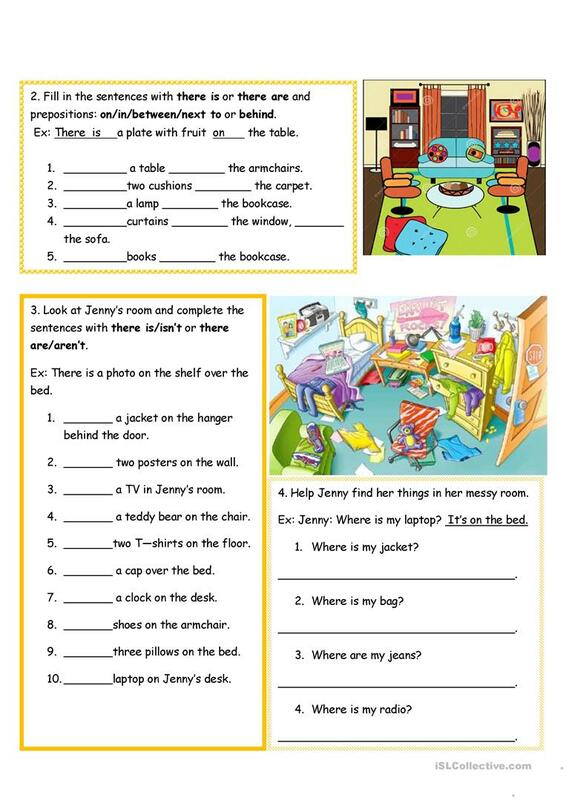 in English, and can be used for working on your groups' Writing skills. It focuses on the theme of Home.